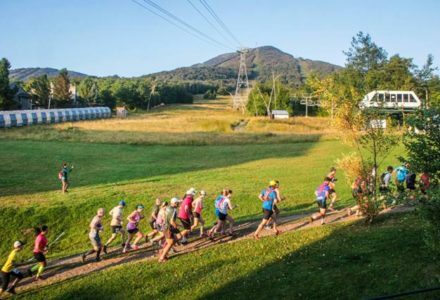 In its 8th year, The Jay Peak Trail Running Festival is set to be the best ever. Epic views, VT made wooden “medals” and bragging rights….. Learn More!! "Full Race Schedule"
Learn More!! 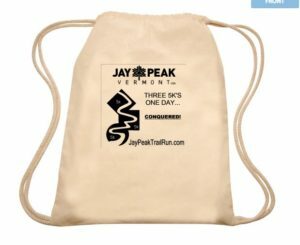 "Where to Stay"
What is the Jay Peak Trail Running Festival all about? 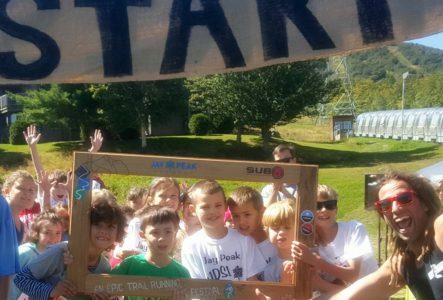 This is a unique trail running experience designed for the entire family that cannot be matched. With 7 races for all abilities there is something for everyone. 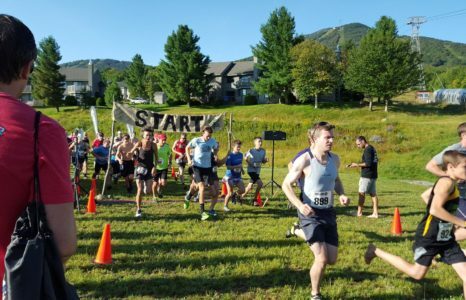 Whether you are a kid who just likes being outdoors (where they belong), someone just trying out your first trail race, a speed goat that loves hammering until your legs give out or an ultra runner that wants to see just how far your body & spirit can go, we have a race for you. With 3 different hotels fitting every budget, an indoor water park, ice rink, climbing wall, arcade, movie theater, several restaurants and more…..there is plenty to do with the family in between races. 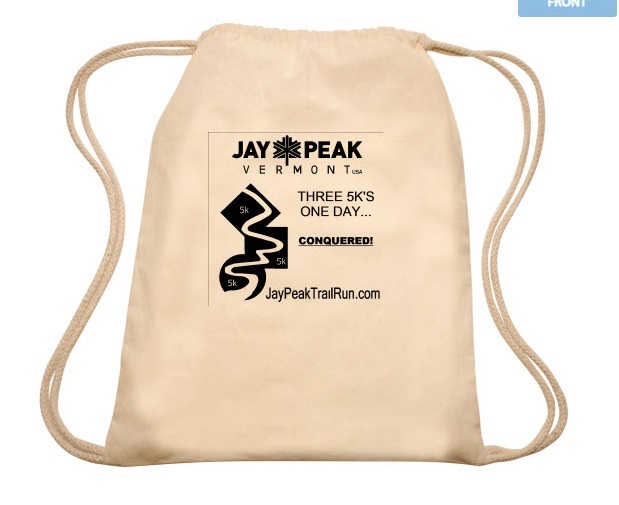 All registrants get a hotel discount code, so come, stay & #runJAYPEAK! GET MORE RACE INFO!!! 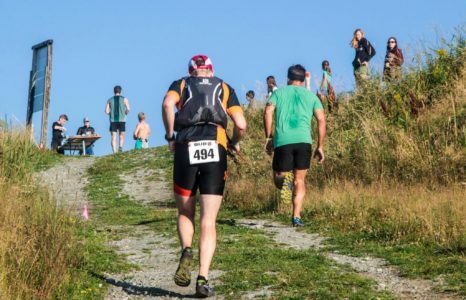 "53.1KM ULTRA"
GET MORE RACE INFO!!! "22 Miler (35.4km)"
On Saturday starting at 8:30 am, the Black Diamond, 9:30am, Blue Square, then @ 10:30, Green Circle. GET MORE RACE INFO!!! 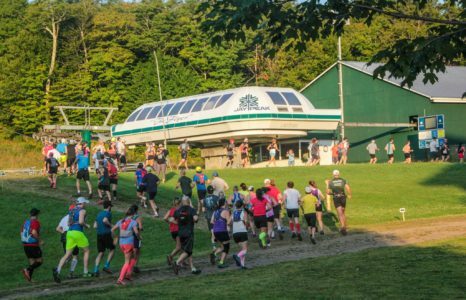 "5k Races"
Take one lap our Jay Peak and call it a day.....and what a day this will be. GET MORE RACE INFO!!! "11 Miler (17.7km)"
GET MORE RACE INFO!!! "KIDS! 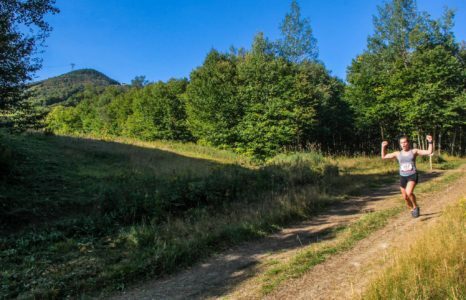 Trail Race"
GET MORE RACE INFO!!! "Run All Three 5ks"
Why just run one 5k? You are here all day anyway. That’s correct. We have designed our 5K series so that you can run all 3 in one day. For doing so, we will give you our coveted “I ran THREE 5k’s in ONE day” prize after completing all 3…..also known as our “Runners with Issues” prizes. Because if running 3 races in one day is appealing to you…then you have a screw loose….& you are our kind of human. Feel welcome here trail runner & keep running. Powered by Septera & Sub 5 Race Websites.